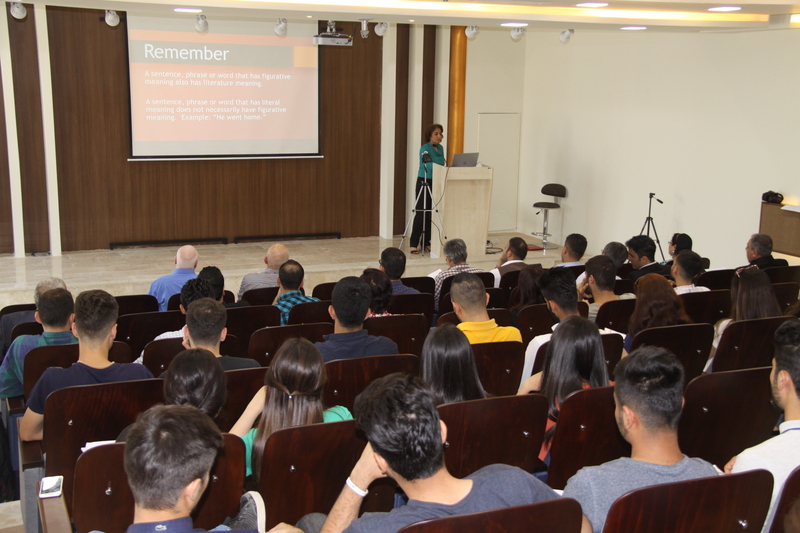 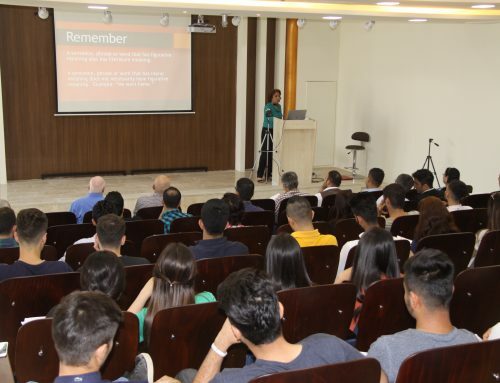 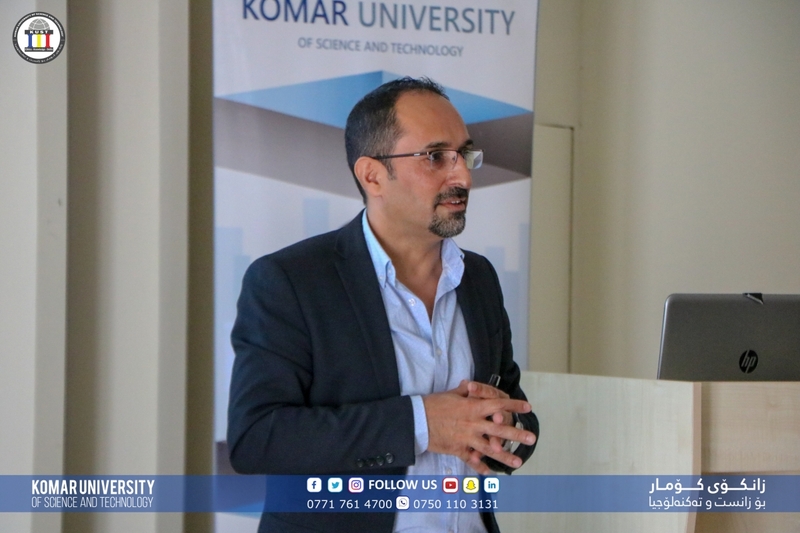 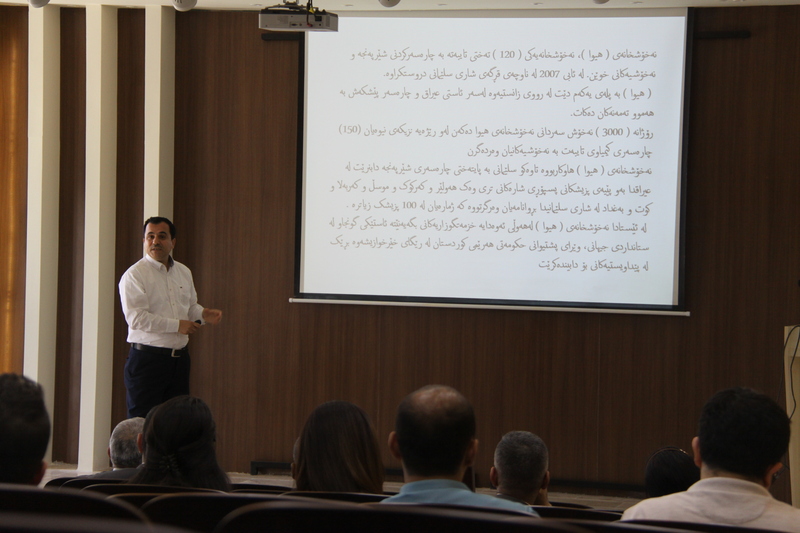 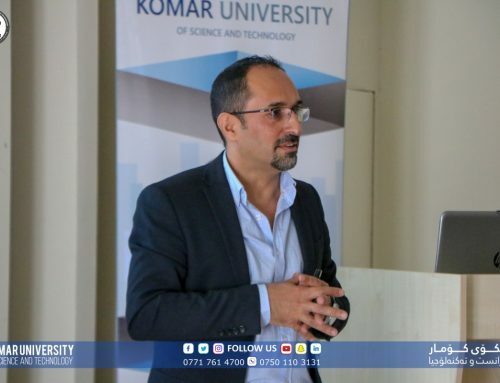 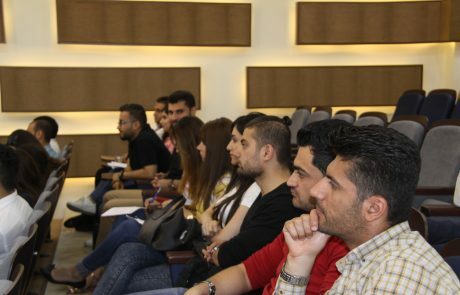 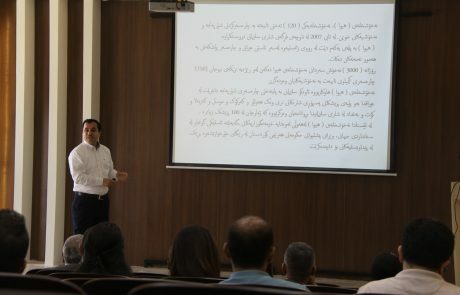 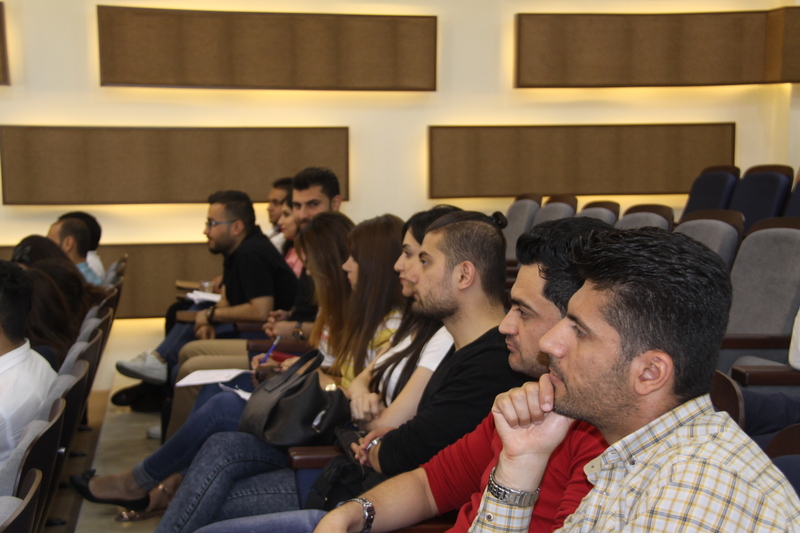 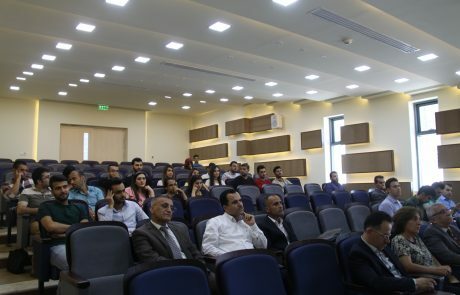 On Thursday, May 18th, 2017, Komar Research Center and Medical Laboratory Sciences has hosted a symposium on cancer development and scientific breakthrough in early diagnosis and treatment of cancer who is the cause of millions of deaths every year in the world. 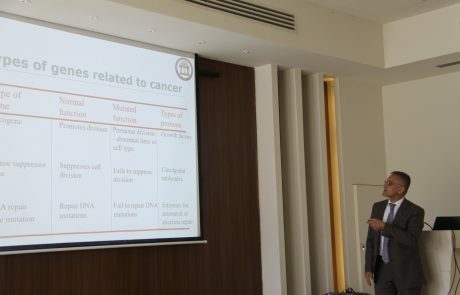 Cancers usually derive from single cells that have acquired the characteristics of continually dividing in an unrestrained manner and invading surrounding tissues. 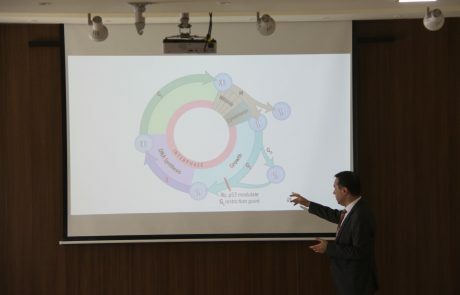 The division of normal cells is precisely controlled. 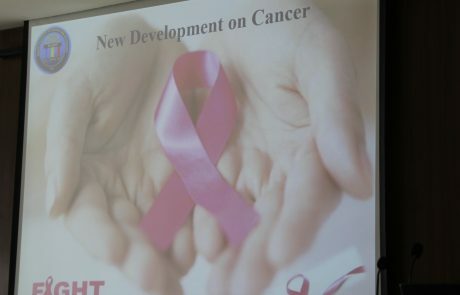 New cells are only formed for growth or to replace dead ones. Cancerous cells divide repeatedly out of control even though they are not needed, they crowd out other normal cells and function abnormally. They can also destroy the correct functioning of major organs. 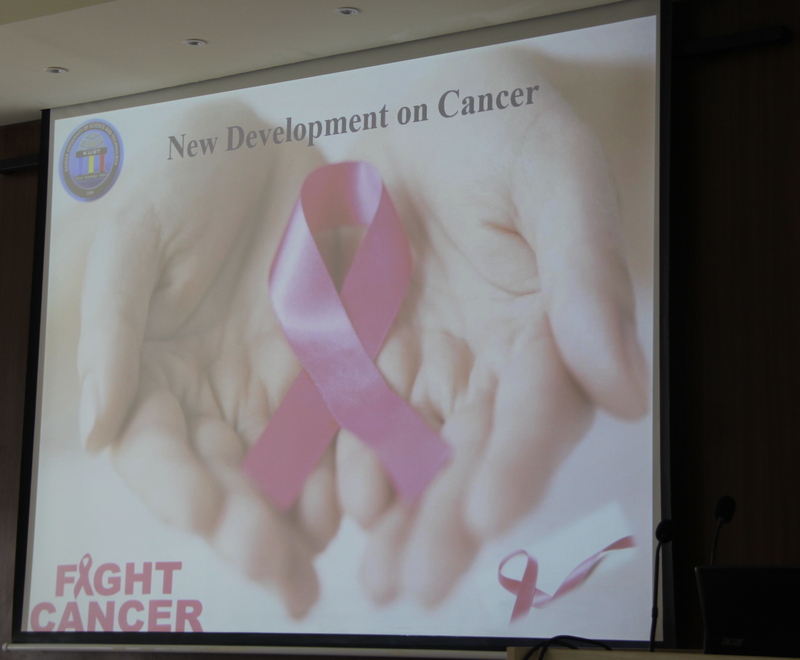 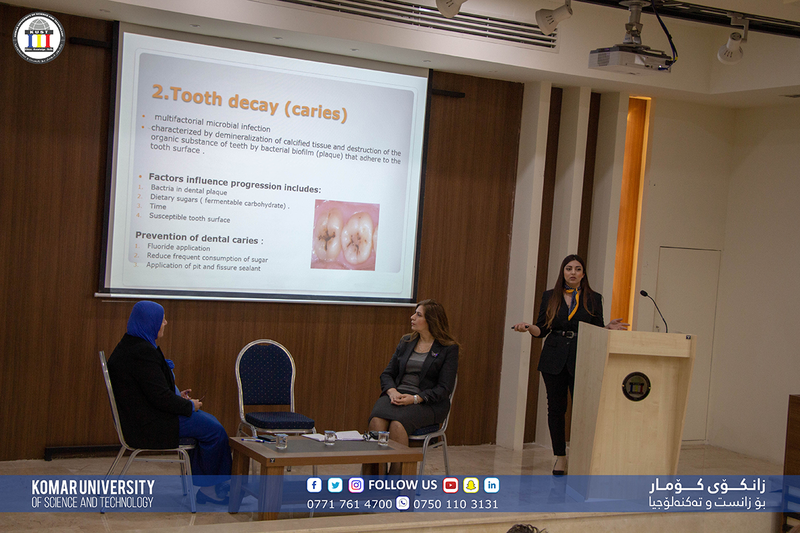 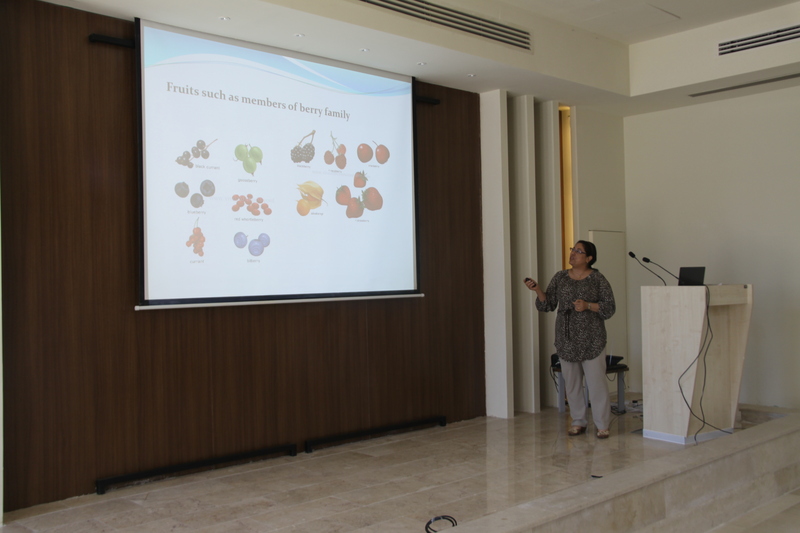 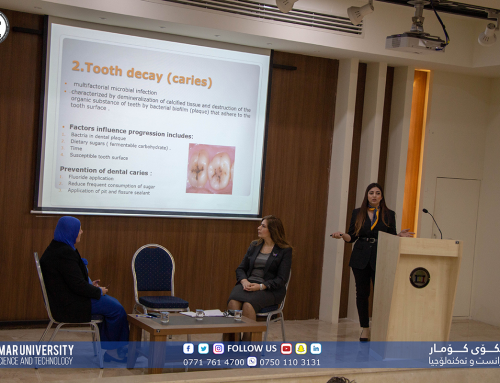 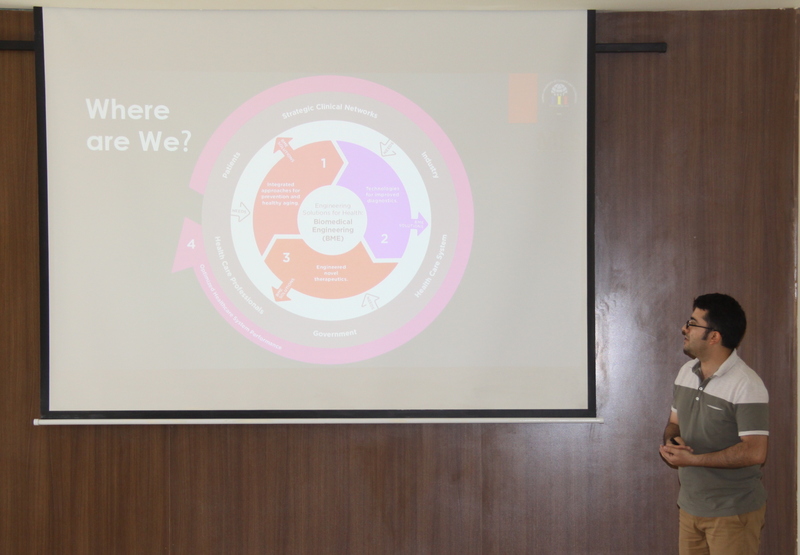 There were five presenters from different universities and Hiwa Hospital for Cancer. 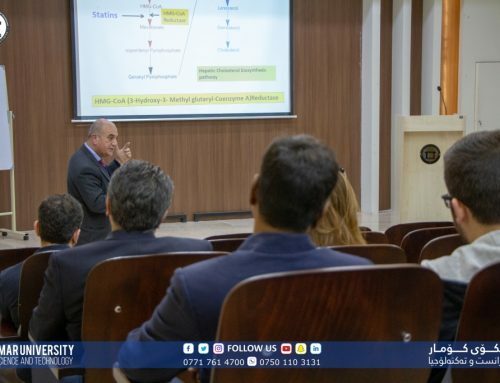 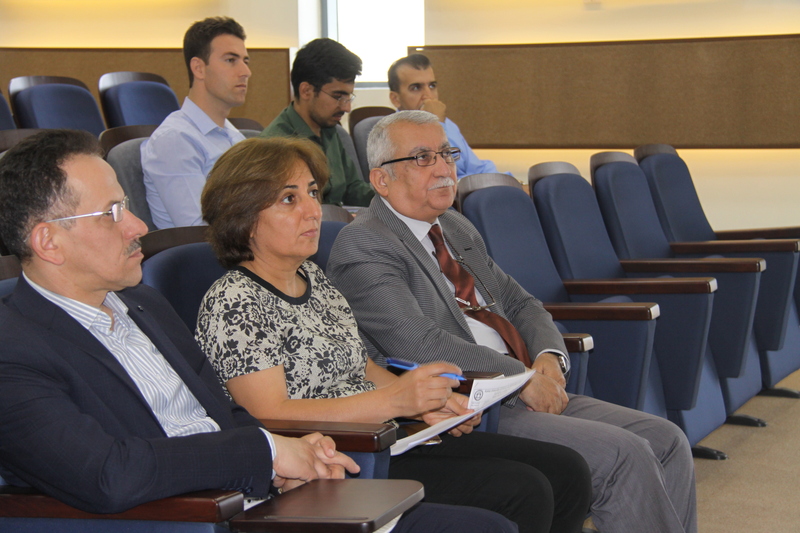 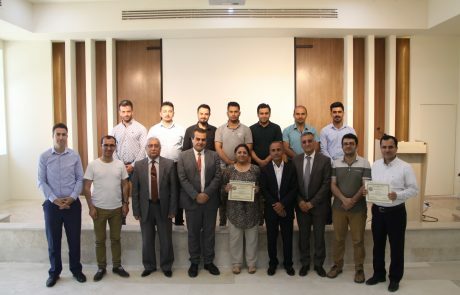 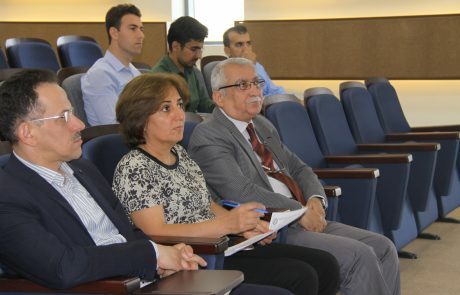 Dr. Govan Ali of the University of Sulaimani, Prof. Shwan Rachid of Charmo University, Dr. Dana Ahmed of Hiwa Hospital, and Mr. Alan Ahmed and Dr. Heshu Rahman, both from the Komar University of Science and Technology. 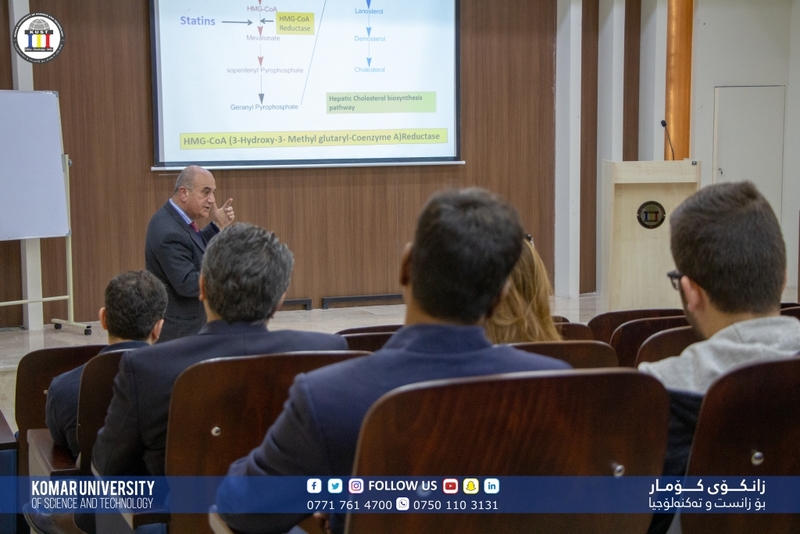 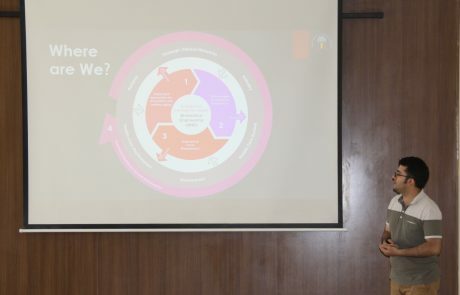 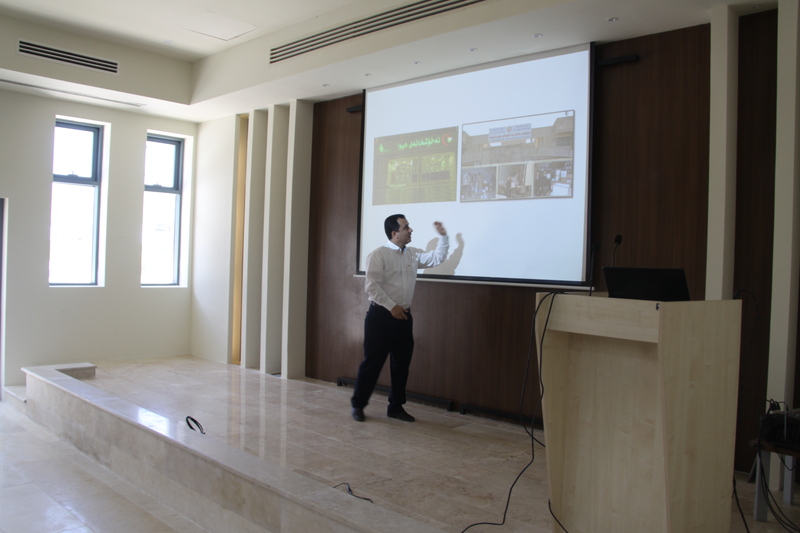 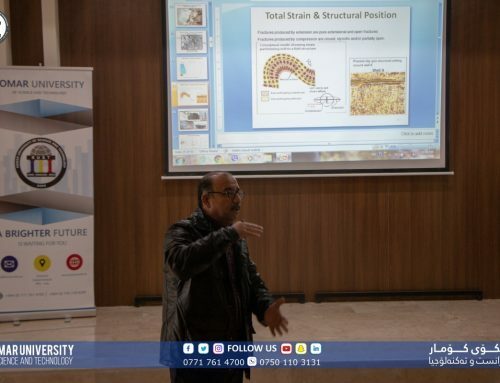 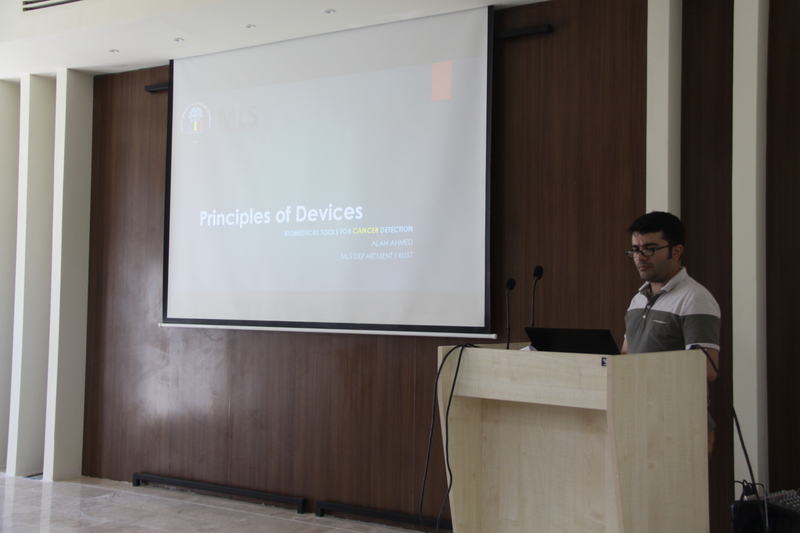 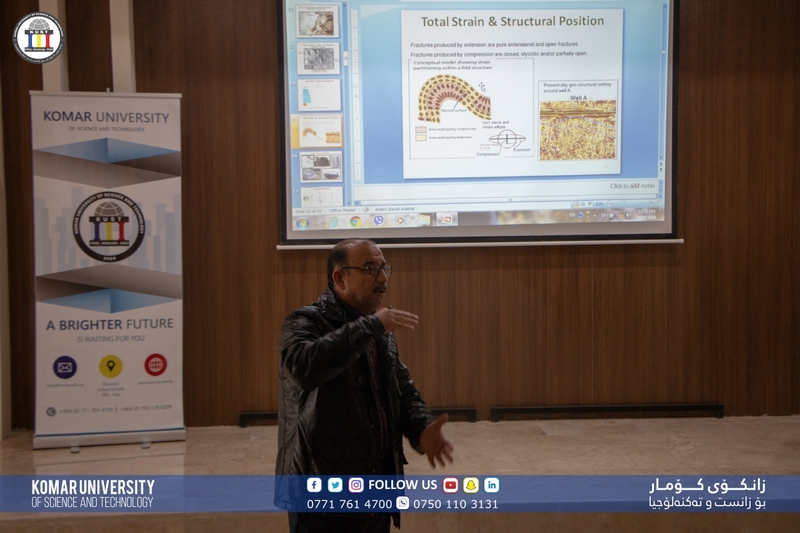 The symposium opened with introducing the speakers by Mr. Balen Najmadeen, and each presenter had 15 minutes to present their seminars and a follow-up 5 minutes for questions and comments. 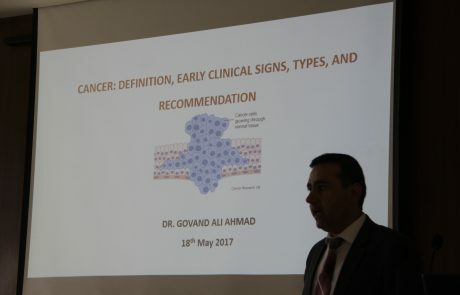 The first speaker, Dr. Govand Ali, presentation was on basic cancer definition, early clinical signs, cancer types and recommendations to minimize the risk of getting cancer. 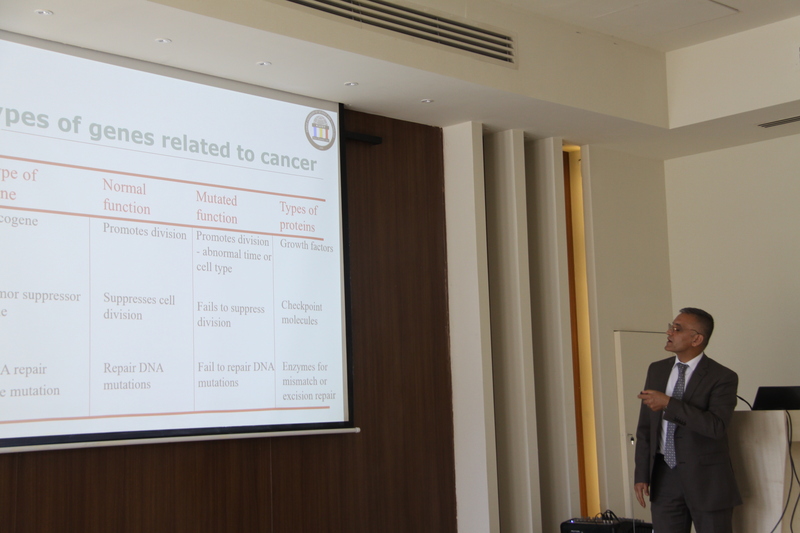 This is followed by presentations from Prof. Shwan Rachid on “Early Molecular Detection of Cancer Related Biomarkers”, Dr. Dana Ahmed on “Recent Data on Cancer Patients from Hiwa Oncology Hospital”, Mr. Alan Ahmed on “Principles of Devices and Biomedical Tools for Cancer Detection“ and lastly, Dr. Heshu Rahman presentation on “Using of Natural Dietary Plat Metabolites to Reduce the Cancer Susceptibility“. 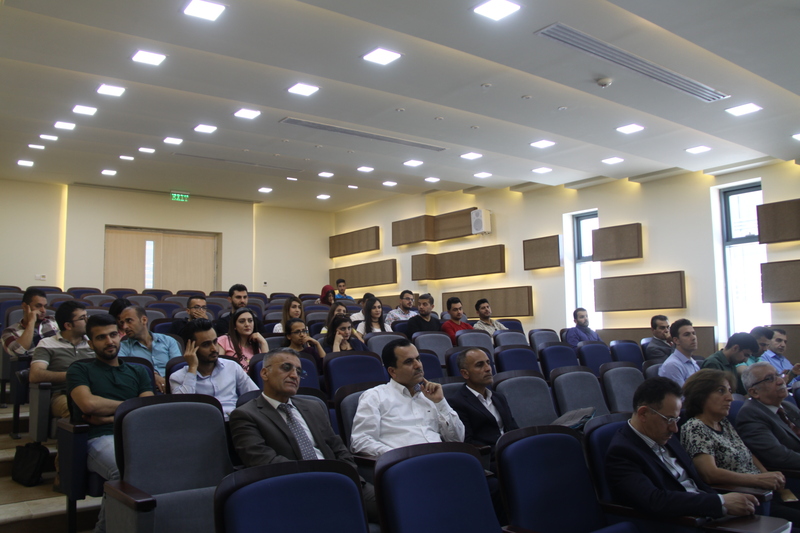 The symposium ended with taking general questions and comments from the audience. 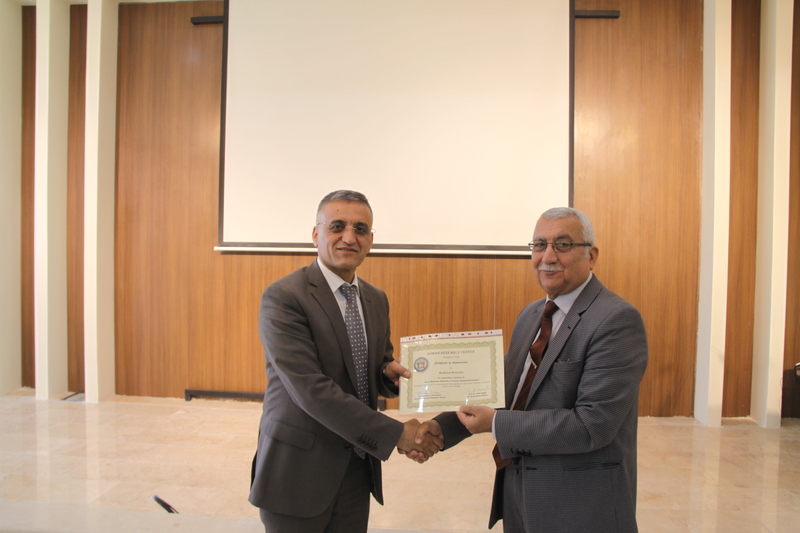 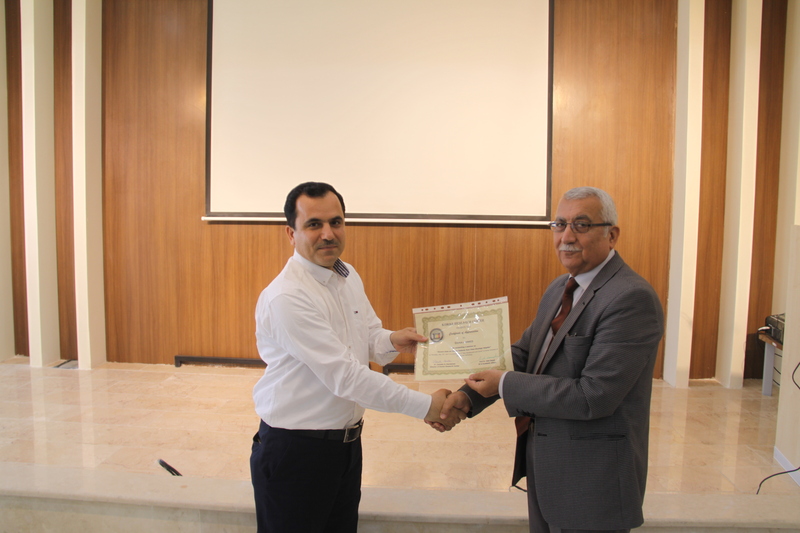 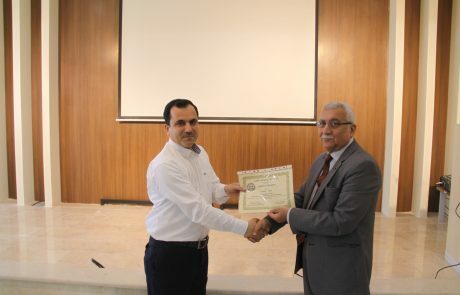 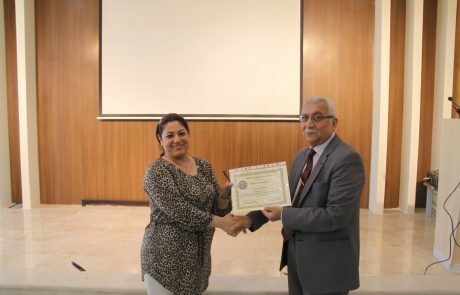 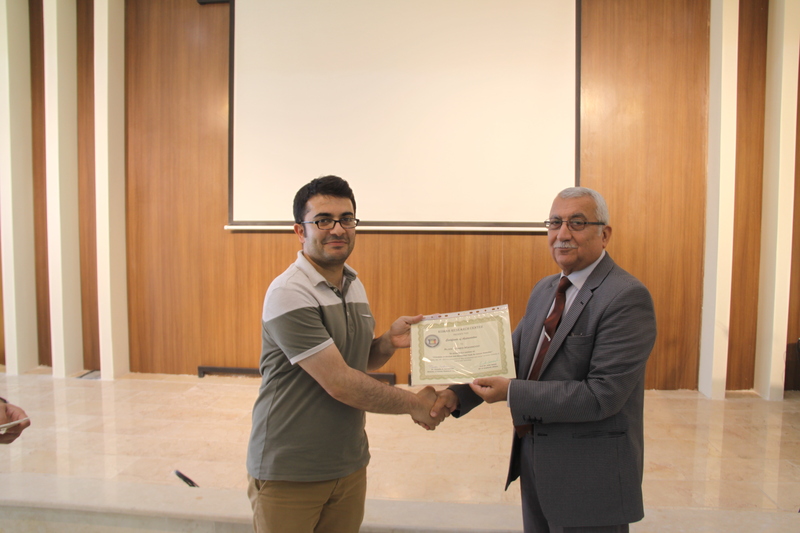 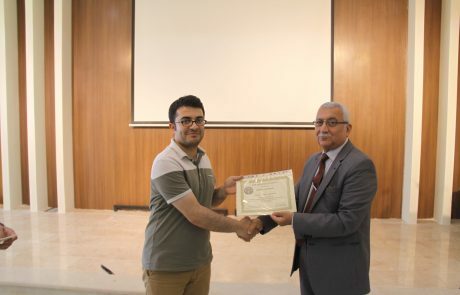 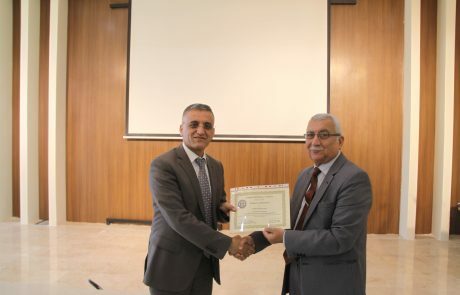 Prof. Jalal Saeed, VP of Academic Affairs, has presented the certificate of appreciation to the presenters of the symposium. 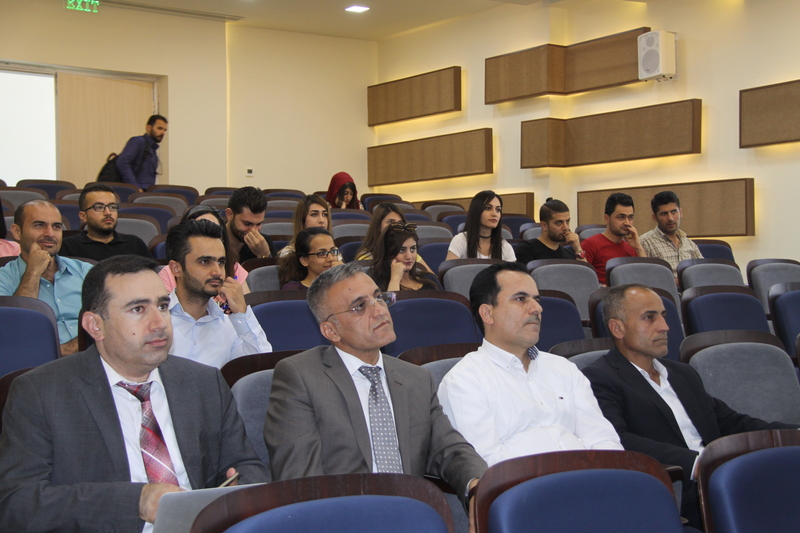 More details on the speakers can be found HERE on the symposium announcement page.